Avril McHugh, a painter & designer, introduces a collection of hand-knotted rugs produced in the Kathmandu Valley of Nepal. 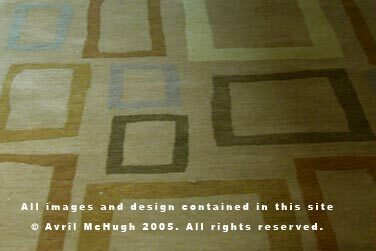 Contact Avril McHugh Custom Rugs | Tel 415-345-9101 | Fax 415-345-9202. All images and designs copyright Avril McHugh.